Composting is an eco-friendly approach to getting rid of and reducing junk. Many people do not practice composting because they are intimidated by the process or they do not know which items can be composted. Understanding composting will help you reduce the amount of junk you produce and dump in overflowing landfills. Did you wake up one day seeing piles of junk on your curb or on the sidewalks near your home? Sometimes there are people who just indiscriminately leave junk wherever they feel like it. If you think it is not your problem because it is not on your property, think again. Are you having a difficult time finding your toothbrush or shampoo when you step inside your bathroom? This may be a sign that it is time to get rid of stuff that clutters this room. A clean and organized home is relaxing and easy to maintain. Knowing where all of the things you need are, clutter-free halls, and a comfortable place to return to are just a handful of benefits of living in a clean home. Several homeowners fail to realize that a clean home can also keep you healthy. Are you driven crazy by the tremendous amount of junk you have accumulated? You may not notice it right away, but junk creeps up on you when you do not regularly get rid of items you do not need. You suddenly find yourself with hallways full of clutter and rooms overflowing with unwanted clothes, boxes of documents, and boxes of old appliances. No matter how much you plan, organize, and prepare, office relocation is stressful. There will be days employees will be unproductive because of clutter and moving office equipment and supplies, misplaced documents, and other mishaps that come with office relocation. After several months or even years of not cleaning your basement, you must be shaking in your boots as to what you will discover once you decide to do a basement cleanout. 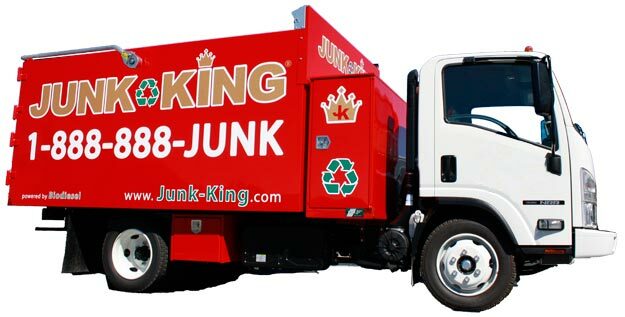 More and more residents are turning to eco-friendly junk removal Chicago services, you should too. Accumulating junk leads to a variety of problems such as; fire hazards, bacteria and germ growth, clutter, lack of space, and a general feeling of stuffiness when entering a room. Also, overflowing landfills pose different sorts of problems to the community and the environment.